A way to construct tne covariance matrices of the multi-set experimental data has been studied. 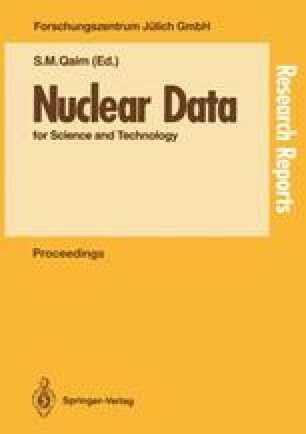 The simultaneous evaluation for correlated data proposed in this paper has been applied to evaluate the cross sections of 239Pu(n,f), 238U(n,f), 238U(n,α) and 235U(n,f) and the ratios R[σf(239Pu)/ σf(235U)], R[σf(238U)/σf(235U)] and R[σα(238U) / σf(235U)] and their covariance matrices were constructed. The consistent relations of different reaction cross sections and the correlations of experimental data have been taken into account in the evaluations.